FESPA Eurasia 2018 will take place next week from 6th – 9th December in Istanbul Turkey at a new venue, Istanbul Expo Centre. The exhibition centre is located near the city centre and the exhibition will occupy two halls, Hall 9 and Hall 10. FESPA Eurasia 2018 is the region’s leading event for screen, textile and digital wide format printing. The exhibition will be hosted in partnership with FESPA’s Turkish Association, ARED which will reflect the needs and challenges of the regional Eurasia market. Attending the exhibition will provide visitors the opportunity to meet and network with leading and local manufacturers and access to free educational features including Print Make Wear, FESPA World Wrap Masters Eurasia 2018 and signage demo workshop. Print Make Wear will feature live demonstrations of the latest in both fast fashion production and garment decoration. Visitors will experience the complete garment production process from design all the way through to the finished garments and will be able meet with experts. The show feature will highlight both screen and digital print technologies including the latest design and workflow software, direct to textile printing and a live screen printing automatic and manual production showing the latest special effects. 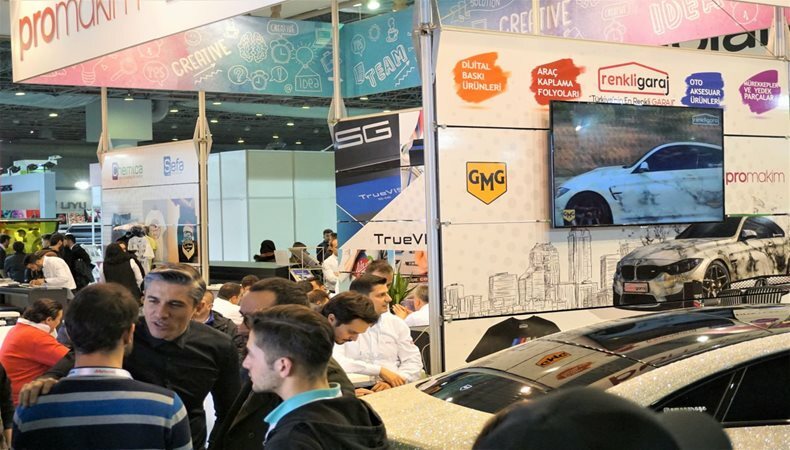 The World Wrap Masters Eurasia 2018 will provide regional wrap installers the chance to showcase their expertise and creativity to the global wrap commuting whilst competing to be crowned the winner. The competition will be sponsored by Hexis Graphics, Mimaki Eurasia and Car Wrapper 3D. Judges for the competition are Carlos Ruiz from Spain and Kiss Laoi, two-time world champion from Hungary. The crowned winner will win a trip to the Global Print Expo 2019 in Munich from 14th – 17th May 2019 where they will compete against other regional winners for title of World Wrap Master. The signage demos will showcase the latest in traditional modern sign making techniques including sign writing techniques, neon and LED signage production and the demos will take place every day of the exhibition. For more information on FESPA Eurasia 2018, its features and to pre-register to attend, visit www.fespaeurasia.com and use code EURJ803 for free entry.